This coming Sunday, February 3, we will briefly step away from the curriculum of Miracles and enjoy our First Sunday Fun during RE class time. Linda Ochi will offer a waffle breakfast and Sue will tell us about the flagstaff family food center! More details here! How do UUs celebrate Imbolc? Martha Kirby Capo, from the UUA wrote this Imbolc celebration. This is the time of year that we like to be cozy by a warm fire and eat comforting, nourishing foods. My family often invites friends over for an Imbolc celebration. We make Brigid’s soup, homemade bread, and share our favorite poems. It is a lovely, intimate time to connect with loved ones. 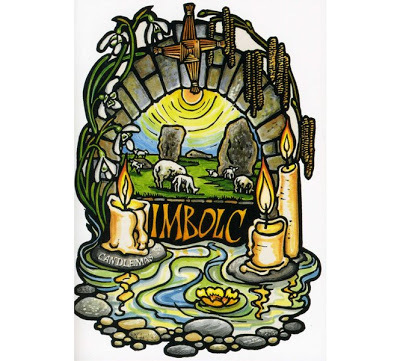 Happy Imbolc! I hope you find warmth and friendship on a cold winter’s night.